The Red-footed Tortoises are closely related Yellow-Footed tortoises. On average, adults are about 12 in (30 centimeters) long. However, there are some that can grow up to 19 in (40 centimeters). Its carapace is dark in color and is loaf shaped. They have lighter patches in the center of each scale. The limbs are dark and have scales that are brightly colored. The bright colors of the scales that are found on the legs range from red to pale yellow. 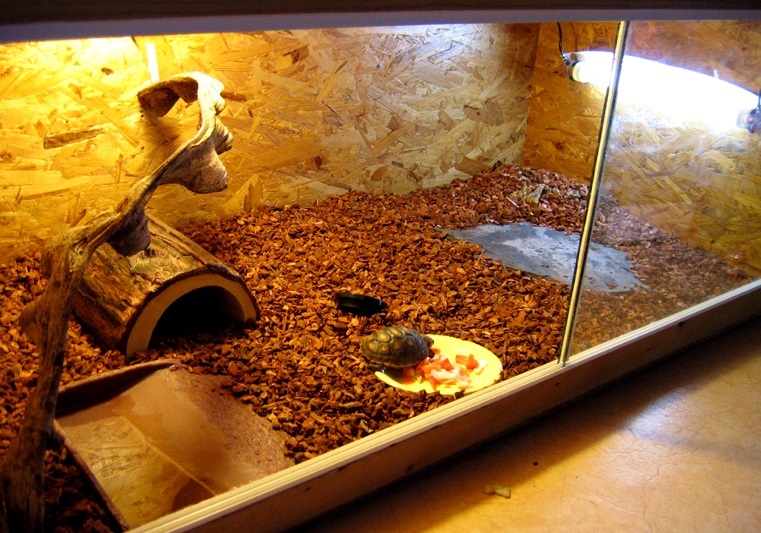 The Red-footed Tortoises are mostly kept as pets. 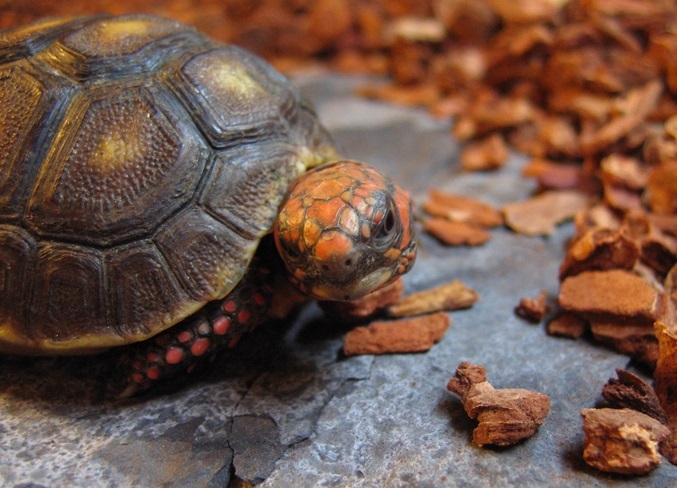 Where are the Red-Footed Tortoise found? The Red-footed tortoises are naturally found in the northern area of South America. They live in the savannah and forest ranges in the Amazon basin. These tortoises generally love environments that range from dry grass-lands to humid forests. They always seem to be very happy after rainstorms. Rainstorms also seem to stimulate breeding. These tortoises are omnivorous. They feed on parts of plants such as fruits, flowers and leaves. The fruits should be kept whole. They feed on grasses too. 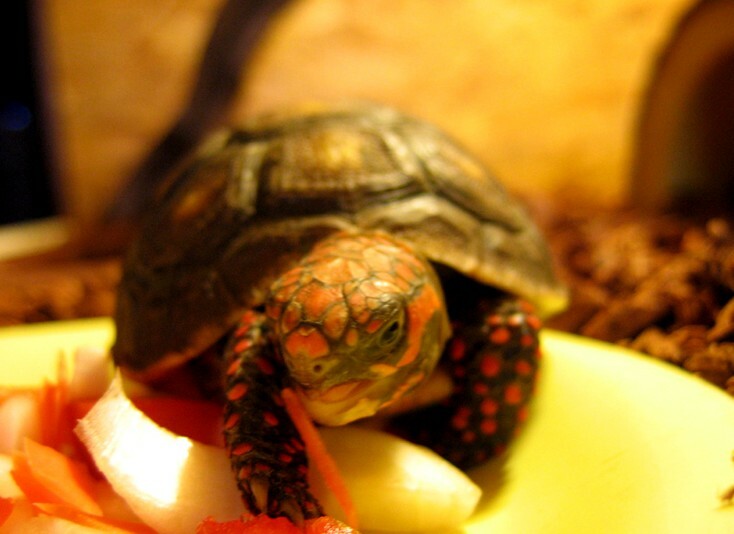 Fungi and invertebrates also seem to be among Red-footed tortoise’s favorite foods. They particularly enjoy eating carrions and any bugs that they can get a hold on. They can also be fed with worms and slugs. The tortoise should also be fed meat occasionally. Its foods should be high in fiber and calcium and low in fats and sugars. There are so many different types of commercial tortoise pellets in the market that can be used to feed the Red Footed tortoises. Despite having carapaces for protection, you should go an extra mile to ensure that you Red Footed tortoises are safe from predators. The predators are all the carnivorous pets such as dogs and cats. They should be kept safe from any other predators that may be present in your home. Before you think about breeding your tortoises, you have to ensure that that have attained the right size and age. Most tortoises start to breed when they are about 5 to 8 inches long. 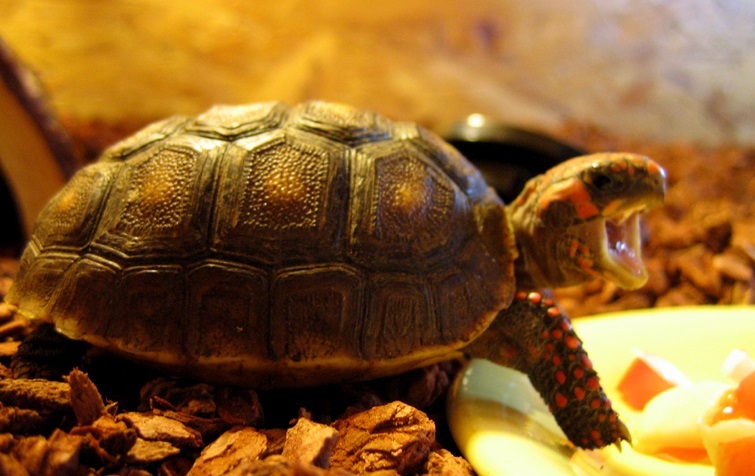 Breeding smaller tortoise is not recommended because it might lead to the production of eggs that are infertile. It is also important to consider the diet of the tortoises. 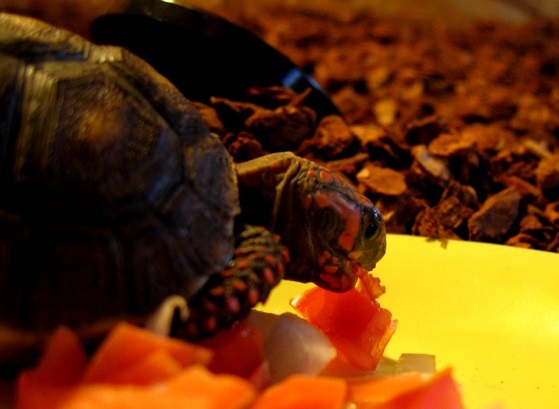 To get the highest hatching rate, the tortoises have to be fed with all the right nutrients. When all the factors are right, instincts will take control and the mating process will begin. You need only one female Red Footed tortoise and one male to be able to achieve breeding success. The hatchlings are more sensitive to dehydration and drafts than adults. Their housing should be properly lit for real growth. The hatchlings do well in low temperature areas as long as you have provided a basking area that reaches a temperature of about 90 degrees Fahrenheit. On the first week, the hatchlings survive by feeding on yolk sac reserves. They can then feed green vegetables. They will eat more and more as they grow bigger.